The Fog Cutter is an endurance road/road sport design. We designed it to fit fatter tires, but the frame angles are more road bike than CX or gravel bike. It can float you over chewed up asphalt better than most bikes in this category. 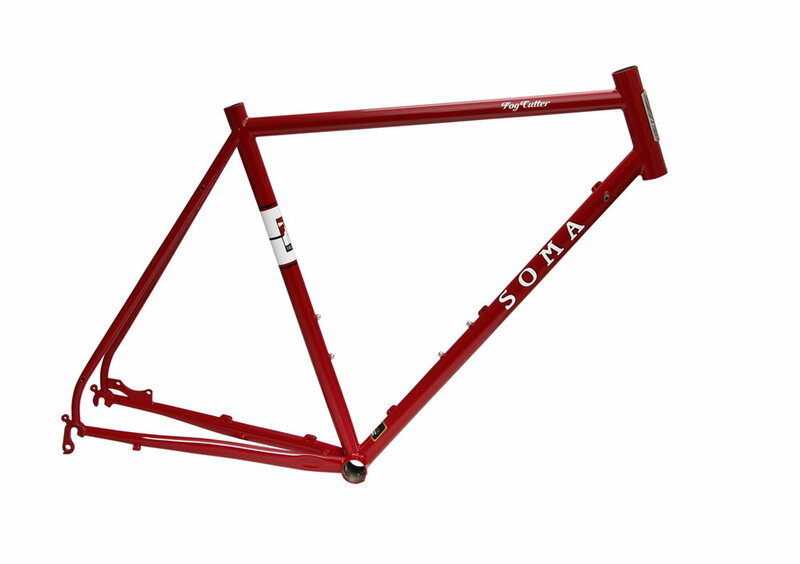 This is the frame you want for long days in the saddle and the most demanding commutes. The original inspiration for the Wolverine was "monster cross", but it is seriously so much more. Its geometry is stable enough for off road touring, but sporty enough for all-around adventure. With its Tange/IRD Sliding Dropouts, you can turn it into a single-speed CX bike. With a split seatstay, it is compatible with the Gates Carbon Belt Drive. New v.2.1 has stiffening plates added near the dropouts. We also switched up the welding method to keep more of the tube's overall strength.